How Do I Use E-File for Federal Business Taxes? The IRS provides a process for electronically filing federal tax returns. The E-file system includes several ways to pay and several types of e-filing, depending on the type of form being filed. Just to be clear, there is a difference between filing forms and sending payments. E-File is for filing forms. To make payments with your filing, you may be able to use E-File,depending on the type of form. To make payments without filing the form, you can use the IRS EFTPS system. Corporation and S corporation income tax returns using the Modernized eFile system. Personal income tax returns (including your Schedule C for sole proprietors and single-member LLCs and Schedule K-1 for partners, S corporation owners, and LLC members) using IRS FreeFile system. Business employment tax returns, including payroll taxes (for Form 941) and unemployment taxes (for Form 940) can be filed using the Modernized eFile system. You can make employment tax payments using the IRS EFTPS system. Excise taxes and use taxes may also be filed using the E-File system. The IRS E-File system has two parts: filing forms and paying taxes. If you file electronically, you can pay your taxes along with your electronic filing by using electronic funds withdrawal, available with tax preparation software or through your tax preparer. Paying taxes by phone or Internet using a debit or credit card is also an option, whether you file electronically or not. Use a tax preparer, like a CPA or Enrolled Agent, who is authorized by the IRS to e-file tax returns. You can ask your current tax preparer if he or she e-files (most do) or find an IRS-approved provider who can assist you with e-filing. Use one of the tax preparation software services, like TurboTax, TaxACT, or H&R Block AtHome. All include e-filing in their tax software packages. If your business is a partnership, corporation, or S corporation, you will probably want to use a tax preparer to help you create your corporate tax return and file your corporate taxes. Employment tax forms (Form 941, Form 940, and Form 944) must be filed using the employment tax form e-file program. If you pay your business income taxes along with your personal tax return, you can pay your taxes in several ways. You can use electronic funds transfer, available through your tax preparer or you can use tax preparation software. You will need to provide information about your bank account's routing number and account number. You can't use this option with Form 943 and Form 945. You may also pay by using a credit card or debit card, through a service provider. 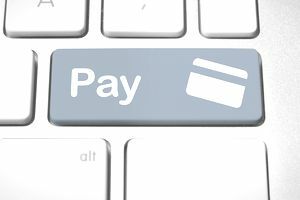 See the list of IRS-approved E-Pay Service Providers and their fees. This list also includes combined e-file and e-pay providers. Credit card and debit card payments are not accepted for these IRS forms: 720, 990, 1120, 2290, 7004, and 8868. You can sign up for and use the Electronic Federal Tax Payment System (EFTPS) for paying all business taxes, including employment taxes, corporate income taxes, and excise taxes. You must use EFTPS for all federal employment taxes which were previously filed with Payment Coupon 8109. Read more about which employment taxes to be filed with EFTPS. What About the Federal Tax Coupon 8109? Form 8109-B -Federal Tax Deposit Coupon was used before 2011 to make deposits for payroll taxes, corporate income taxes, and other tax deposits. Now, IRS will not accept deposit coupons. All tax deposit transactions must be made through the Electronic Federal Tax Payment System, described below. Unrelated to IRS e-file, you can also register with the Social Security Administration's Business Services Online to file year-end tax reports and form, including W-2 and W-3 forms for employees. For a complete list of IRS forms which may be e-filed, go to the IRS e-file list. Can I Do My Own Business Taxes?